(Bloomberg) -- Brazil’s central bank president defended the country’s economic fundamentals, in a surprise press conference held at the end of another day of turmoil for the currency and stock index of Latin America’s largest economy. 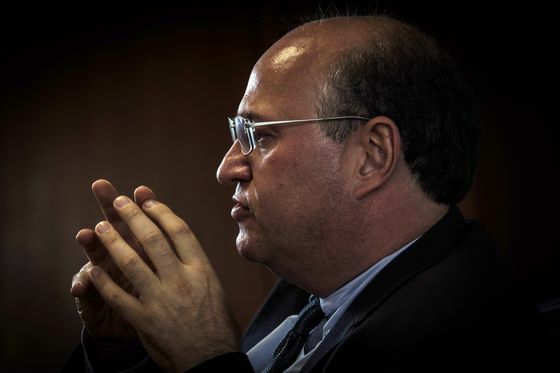 Ilan Goldfajn told reporters in the nation’s capital that Brazil’s balance of payments was good, its $380 billion in reserves are ample and that inflation expectations are anchored. He said that the central bank would continue to offer swaps and would consider selling from its international reserves to provide liquidity to the foreign exchange market. He also ruled out an extraordinary meeting of the central bank’s monetary policy committee and said he would stay in his post until the end of the government of President Michel Temer. Brazil’s benchmark stock index fell by as much as 6.3 percent on Wednesday, the most since May 2017, following a widespread rout in emerging markets and increased anxiety over the outcome of this year’s wildly unpredictable election. A toxic brew of investors concerns about fiscal deficits, anemic growth and politics has helped wipe about 15 percent off the value of Brazil’s currency this year. The real fell to 3.95 per dollar, its lowest level since March 2016, just before the impeachment of President Dilma Rousseff. The turmoil gripping Brazil represents the most significant challenge facing Goldfajn, 52, since he took the job in 2016, and follows a crippling truckers’ strike, the ouster of the CEO of Petrobras, and other major setbacks to the government’s pro-market agenda. Prior to the recent, sudden deterioration in Brazil’s prospects, the former chief economist at Itau Unibanco has been lauded by investors for bringing inflation under control, lowering the key rate to help further a recovery and restoring credibility to both the central bank and Brazil’s top tier of economic policy makers that was dubbed "a dream team" by Goldman Sachs.